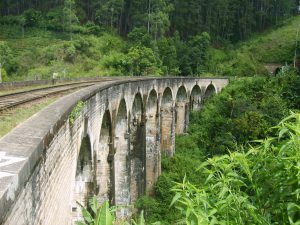 Demodara Railway Bridge is well known as nine arch bridge due to its shape with nice arches with the length of 300 feet in a curved shape. This can be seen in between the railway stations Demodara and Ella. The bridge is built with stone. When the period of the construction (in 1921) there was a problem of importing steel from UK due to the First World War. Due to that reason the British had to decide to build this bridge by stone. According to the folk stories they had to get the support of the Sinhalese people to get that task properly done with stone. 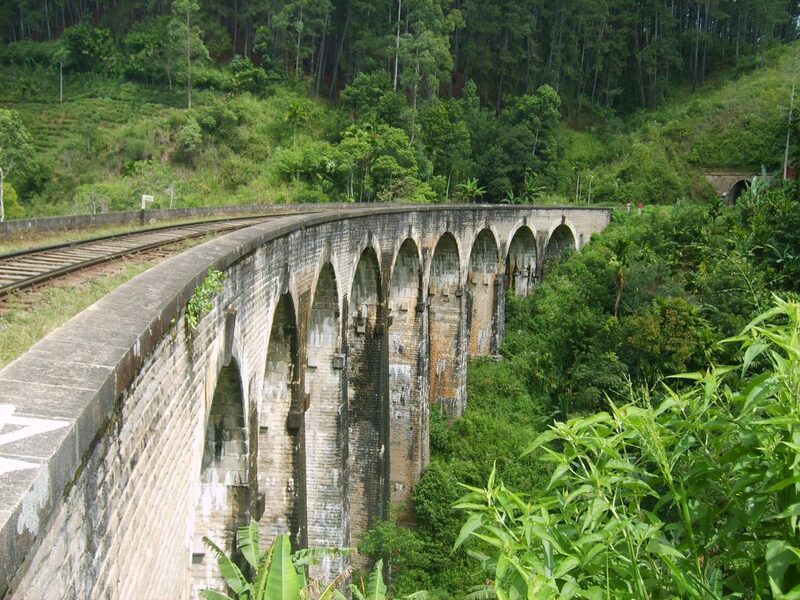 This amazing bridge still catering to the transportation of the upper railway line in Sri Lanka without any damage.